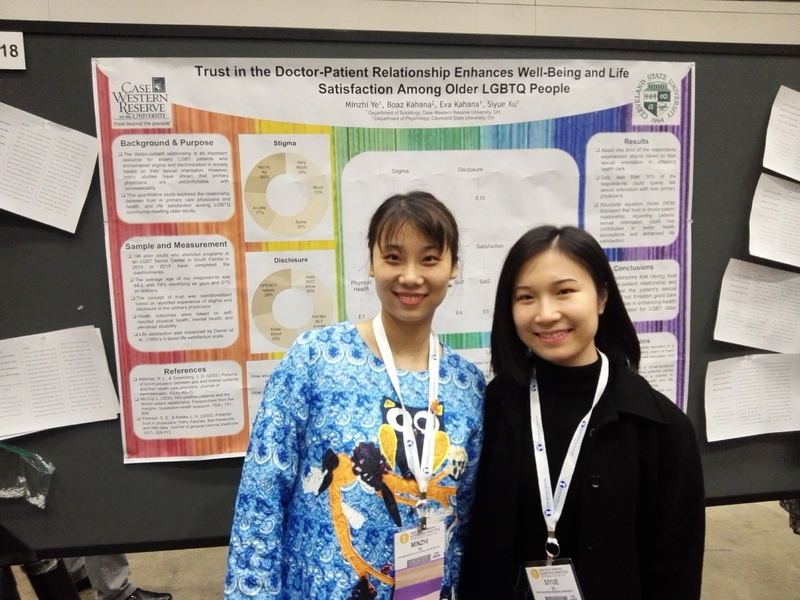 Again this year, CWRU Sociology faculty and doctoral students were highly visible throughout the annual meeting of the Gerontological Society of America. Four faculty and 10 doctoral students presented 18 papers and posters on a range of topics related to age, aging and the life course. Dale Dannefer co-organized a symposium on recent trends in cumulative dis/advantage research, and ECRC students and faculty presented 10 papers and posters. Alumnus and Affiliated Faculty Member Adam Pryzinski (YEAR) was named a Fellow of the Society. Click here for a list of all of our department’s activities at the meeting.